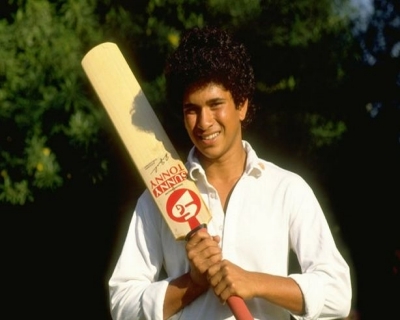 On this day, 27 years ago, a curly-haired, shy Sachin Tendulkar made his Test debut as a 16-year old against arch-rivals Pakistan. Tendulkar scored 15 off 24 balls before being dismissed by fellow debutant Waqar Younis, but would go on to dominate the game of cricket for 25 years, etch his name frequently in the record books, and leave behind a lasting legacy. Raj Singh Dungarpur, a former president of the Board of Control for Cricket in India (BCCI) was the chairman of the selection committee that selected a 16-year old Sachin Tendulkar in the Indian squad for the 1989 tour of Pakistan. 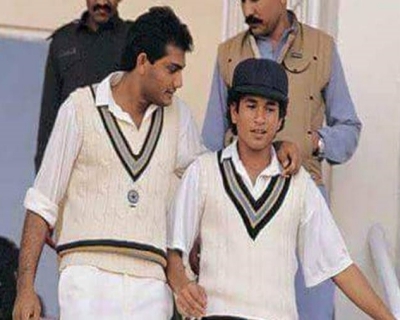 When he made his debut, Tendulkar became the third youngest debutant (16y 205d), Mushtaq Mohammad (15y 124d) and Aaqib Javed (16y 189d) being the first and the second. Tendulkar played his first Test in Karachi and the odds were stacked against him. He couldn’t have asked for a tougher induction as he faced the intimidating bowling attack of Imran Khan, Wasim Akram and Waqar Younis (also making his debut) without modern protective gear. He would get out to an in-swinging delivery by Waqar Younis for 15. While the score is far from impressive, the way he withstood the numerous blows on his body and refused medical attention after he was hit on the nose by a bouncer were early indications of what one could expect from the little boy who was not yet a master. In the Test series, Sachin scored 215 runs in all at an average of 35.83. Why was the debut special? Tendulkar’s arrival was in the pre-liberalisation era where the Indian roads were dominated by black and white TVs, Bajaj scooters and Ambassador cars. His appearance against arch rivals made for a heroic story and would go on to shape his larger-than-life image in the future. The blow that he received from fierce Pakistani fast bowler Waqar Younis in that tour was perhaps the first touch that made Tendulkar a darling of Indian nationalism. When he entered the 25th year of his international career in what happened to be his farewell Test, he joined an elite group of players to have achieved the feat. The longevity remained a testament to his perseverance and consistency, attributes that defined an illustrious career in every sense of the term. However, what would make this phenomenal was the fact that he debuted in an India that identified itself as an young and ambition nation but would go on to represent India for the next 25 years. As he grew in age and stature, the country grew with him. When did Tendulkar first step into international arena? Interestingly, the first time Tendulkar stepped on an international arena as a player, he actually turned out for Pakistan. 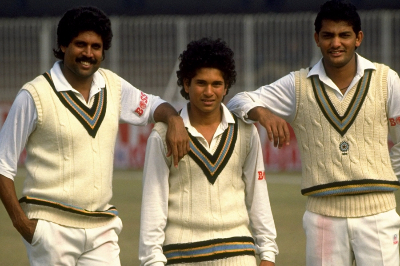 It was Jan 20, 1987 and Tendulkar was three months away from his 14th birthday. The occasion was an exhibition match between Indians and Pakistanis to mark the golden jubilee of Cricket Club of India (CCI) at the Brabourne Stadium, Mumbai. The game was 40-overs a side and was played before the five-Test series which would be Sunil Gavaskar’s last. Marcus Couto, Tendulkar’s childhood friend and now an umpire, recalled as to how Tendulkar was excited when the opportunity to field came. “Some of the Pakistan players were going to the team hotel to rest. Imran came to Hemant Kenkre (CCI captain) and said that he was short of players and asked if he could get three-four players to field. Two youngsters were in the vicinity – Khushru Vasania and Sachin Tendulkar. While Vasania managed to take a catch as a substitute to dismiss Mudassar Nazar off Shastri in Pakistan’s innings, Tendulkar was frustrated at not being able to catch the ones that sailed over his head into the first tier of CCI. India won the game by chasing down Pakistan’s 189 with six wickets to spare. 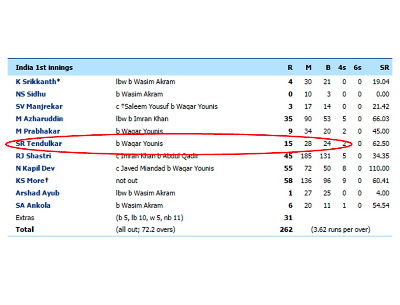 Mohammad Azharuddin top-scored with 80 and Roger Binny scored 63. Sachin was also a ball boy in the 1987 World Cup. The story goes that Sunil Gavaskar, impressed by the little ball boy’s enthusiasm, even invited Sachin to the dressing room. Sachin Ramesh Tendulkar would go on to be the Man of the Series in the 2003 World Cup and make valuable contributions to India’s second World Cup win in 2011. Greatness only comes to those who prepare for it. Where did Tendulkar become a beacon of hope? 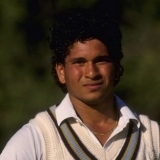 Even before Tendulkar made his international debut, he was already widely accepted as the greatest cricketing talent the country has seen since Sunil Gavaskar. People were in awe of the boy’s exceptional talent. He had narrowly missed the cut to the tour of the West Indies as the selectors felt that a kid shouldn’t be exposed to the sustained blitz of the likes of Malcolm Marshall, Courtney Walsh, Curtly Ambrose and Ian Bishop. When Tendulkar stepped into the international arena, the Indian democracy wasn't in the best of health. The economy was imploding and there was chaos in the national leadership. Sunil Gavaskar had retired two years ago, and the country was badly in search of a hero. As the domestic affairs proved divisive, Tendulkar brought the people together uniting them with their love for cricket. His success in Australia in the 1991-92 tour was a testament to his abilities to succeed in overseas conditions. Even as the politicians and the system failed the people, Tendulkar offered the much needed escape and relief. His modest upbringing and his untainted image did his image a world of good as more and more kids took to cricket wanting to be him. There were only four other cricketers who played as long or even longer. England’s Wilfred Rhodes holds the record for the longest cricketing career, having represented his country for 30 years 315 days from June 1899 to April 1930. The all-rounder’s career was sandwiched between the two World Wars. The second highest also goes to an English as Dennis Close's Test career lasted 26 years and 356 days. Interestingly, he played in fewer Tests than the number of years he played for. Between July 1949 and July 1976, Close appeared in only 22 Tests, without a century or a five-wicket haul. Englishman Frank Wooley’s career spanned 25 years and 13 days – albeit on either side of the First World War. West Indian legend George Headley played 10 days into his 25th year in international cricket. 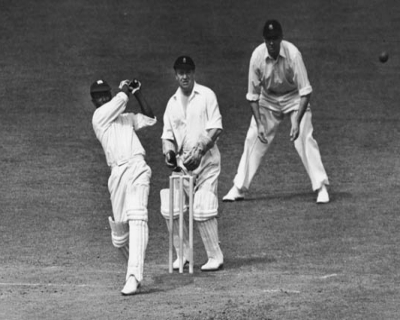 He played his first match against England at the Oval in January 1930 and his last against the same opponents, at Sabina Park, in January 19 1954. After Tendulkar, Headley had the best records for someone whose career lasted so long as he averaged 61 in Test. How did the cricketing world remember Sachin’s debut? Cricketers took to twitter to remember the occasion. Ajinkya Rahane: When I looked for courage, it was him. When I looked for inspiration, it was him. @sachin_rt When I looked for dedication, it was him.